It's the final day of the challenge and the prompt is "honor nails you love." This is a way of paying it forward to the nail art community and giving props to someone's awesome creativity! I chose to do a manicure inspired by Nailside's Abstract 80s design. Nailside is the queen of tape manicures, and I hope I did her work justice with this! 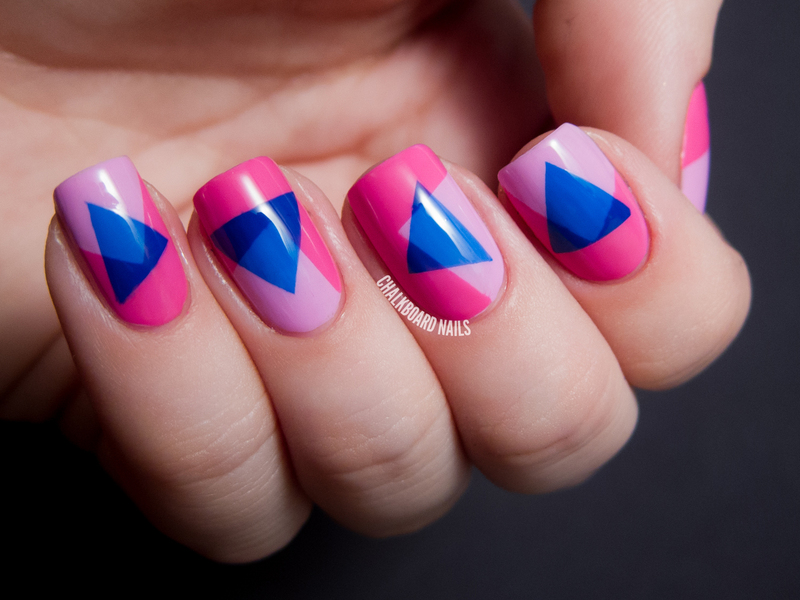 There are two taped elements here: the right angles in the pink pieces and the blue triangle over the top. The lighter pinky purple shade is Misa Ripe Raspberry. I applied two coats and let it dry completely before taping off right angles with stationary tape. I then applied one coat of Misa Lovely Lychee. After letting THAT part dry, I taped off triangles and painted one thin coat of Color Club Chelsea Girl. This bright blue shade has a kind of jellylike consistency which is important in this look! You need it to be that way so that it looks different when it is layered over the each of the two different base colors. I do miss Nailside's posts, she has been on hiatus since April! She is so precise and her work is always so on point. Can you believe that the 31 Day Challenge is already over? It seemed to go so fast this year! Of course, it was as stressful as always, but I'm so proud of the work I was able to do. I'm also so proud of those of you that participated this year! It's never easy to complete the challenge and you all owe yourselves a cupcake. Or two. Or ten. OR THIRTY ONE! Look out for my roundup post tomorrow where you can sound off on your favorite looks! The 31 Day Challenge introduction! My "recreate a manicure you love" nails from 2012! My "recreate a manicure you love" nails from 2011! Amazing! I need to get me some of those jelly polishes, I want to try some of the looks you've shown using them! I miss Nailside's posts too! Love her work. Congrats on coming up with a great design 31 days in a row!! I lovvve this and I was just thinking "where is nailside?" Great job! These are so cute, I love the transparency of the blue! omg i miss nailside. this is SO her!! I love it , I miss nailside! What an awesome 80's design, I love it! 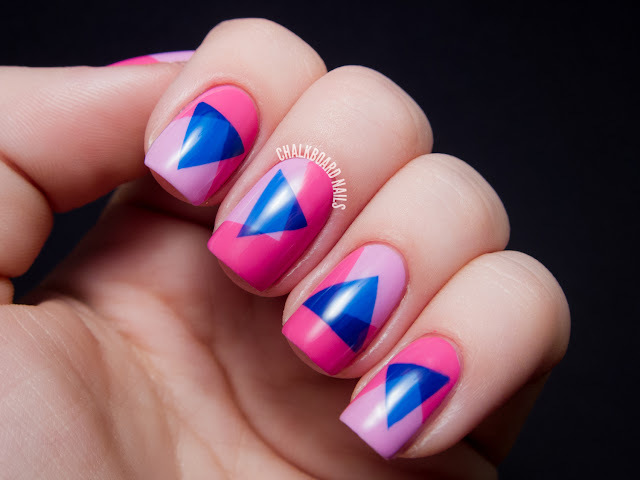 I miss Nailside too :'( but these look gorgeous! 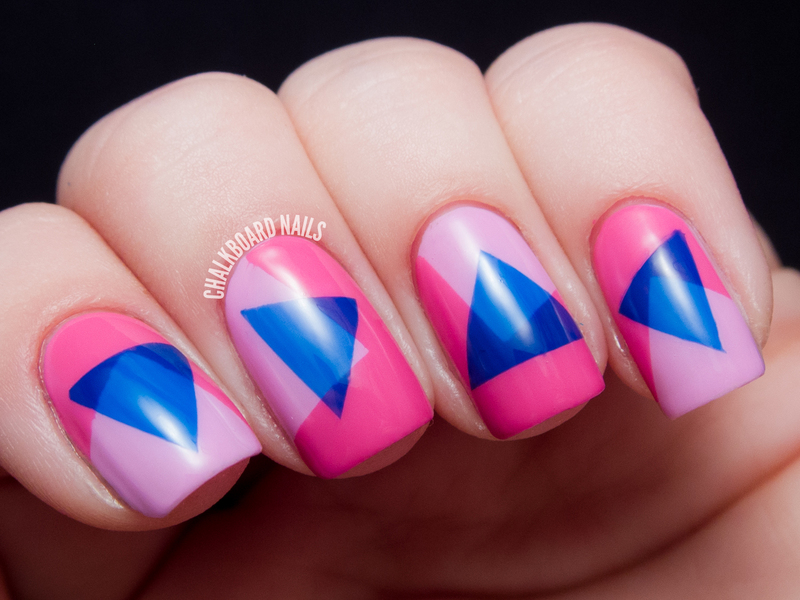 I love that the triangle is translucent, it looks incredible! YES these are awesome. 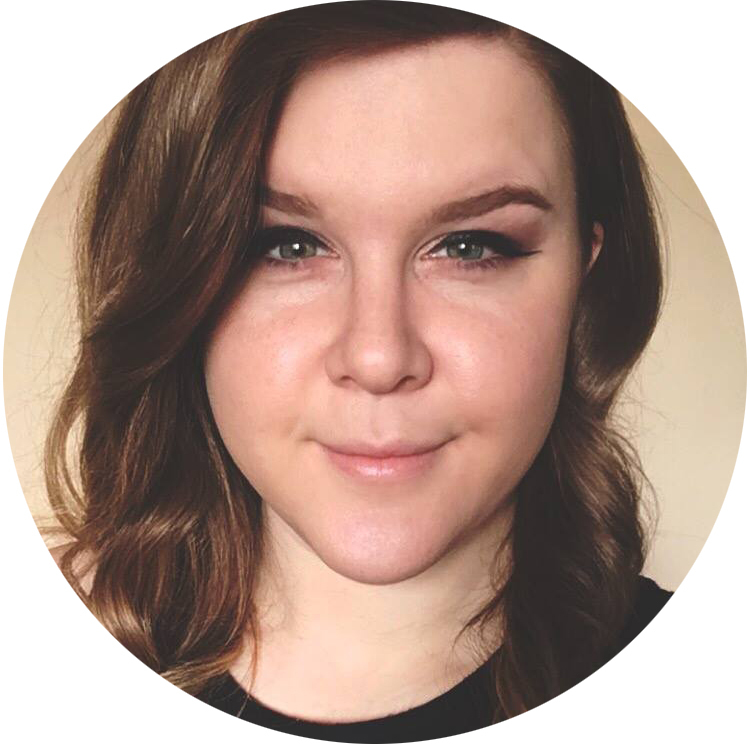 Nailside is SUCH great blog, I really miss her posts :(. These are gorgeous, you definitely did them justice. 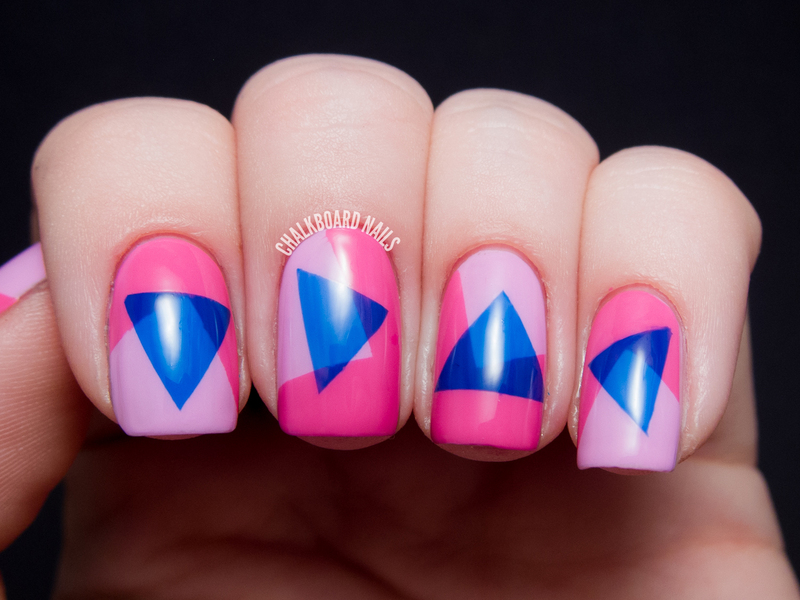 I also miss Nailside, it was one of the first blogs I started following, her tape manis were AMAZING!